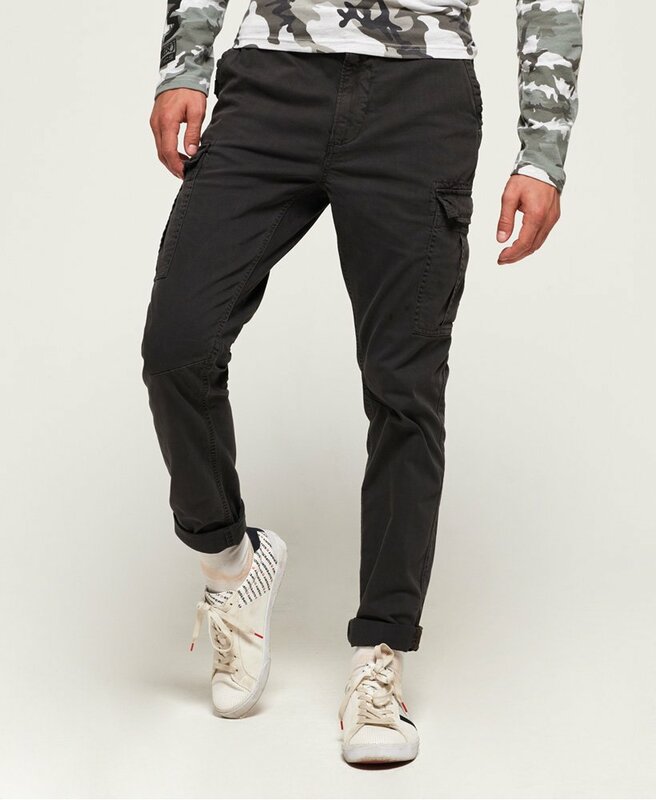 Superdry men’s Surplus Goods cargo pants. These cargo pants feature a six pocket design, an additional coin pocket, zip fly fastening and belt loops. The cargo pants are completed with a Superdry logo patch on the reverse.